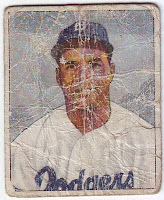 Everyone should have a card of Roy Campanella. When I saw this on eBay about a week ago, It had a buy it now price of $6.99. I figured, why not? 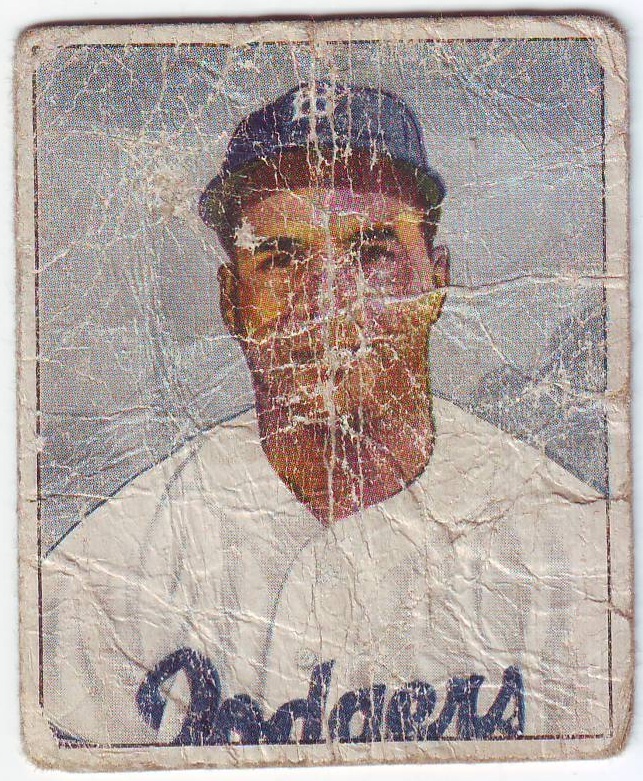 I know, it's a total beater but it's a second-year card of the Dodgers great. Ever since starting this blog a few years ago, I don't even look for cards in nicer condition. My eyes just gloss over those cards that look like they were just unwrapped, and they especially gloss over their higher price tags. 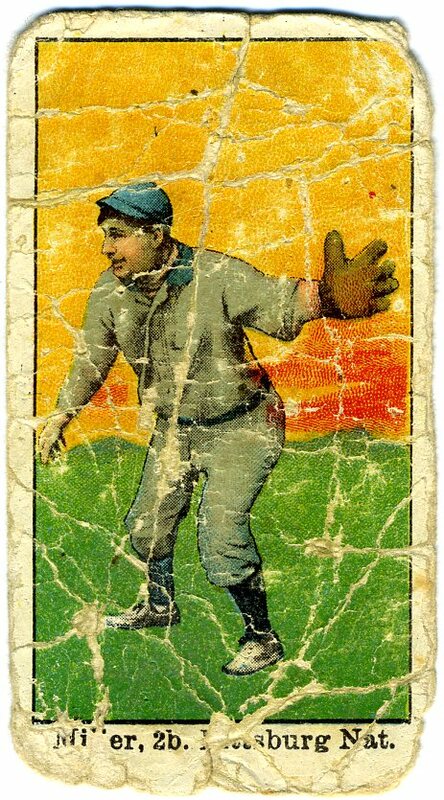 I'd much rather have this poor old baseball card at a fraction of the price. It's a funny thing how a player gets a nickname. Some are easy: Rube, Killer, Pee Wee, Lefty. Some take a little more explaining: Piano Legs, Oyster, Some are plain funny: The Human Rain Delay. John Barney Miller was a world champion after his rookie season in 1909. The second baseman made his debut for the Pittsburgh Pirates on April 16. Most baseball fans wouldn't be able to name a single one of his teammates, except one: Honus Wagner. The Flying Dutchman is arguably one of the greatest ballplayers of all time. An inaugural member of the National Baseball Hall of Fame, he won eight batting titles. Technically speaking, even "Honus" was a nickname. His given name was Johannes Peter Wagner. "Honus" was probably a take off Johannes and "The Flying Dutchman" payed homage to his speed and his German (Deutsch) background. One day, Wagner was asked by someone where his second baseman was. He replied by pointing in John's direction and saying, in a heavy German accent: "Dots (that's) Miller."